Tire pressure and the types of tires you have are important to properly winterize your car. Maryland winters are no joke, and they can be quite unpredictable as we have seen in years past. During the winter season, driving conditions can be hazardous due to icy roads and snow. Both can easily cause an accident if your vehicle is unprepared for the weather. Therefore, learning tips to winterize your car will help you to stay safe during winter months. A simple way to start winterizing your car is to change out your windshield wipers. Winter wipers can help to keep ice off your windshield and collecting on the blades. If you plan on changing your wipers out yourself, make sure to look in your owner’s manual to get the right size. Also, make sure to replace both at the same time. Winter wipers are heavier and are designed to work exceedingly well in winter weather. However, they should be removed during the spring. Make sure to fill up your washer fluid too as you may use more in an effort to keep the windshield clean. While some of our winters are mild, you may not consider getting a new set of snow tires. However, depending on your commute and vehicle, you may want to consider them. 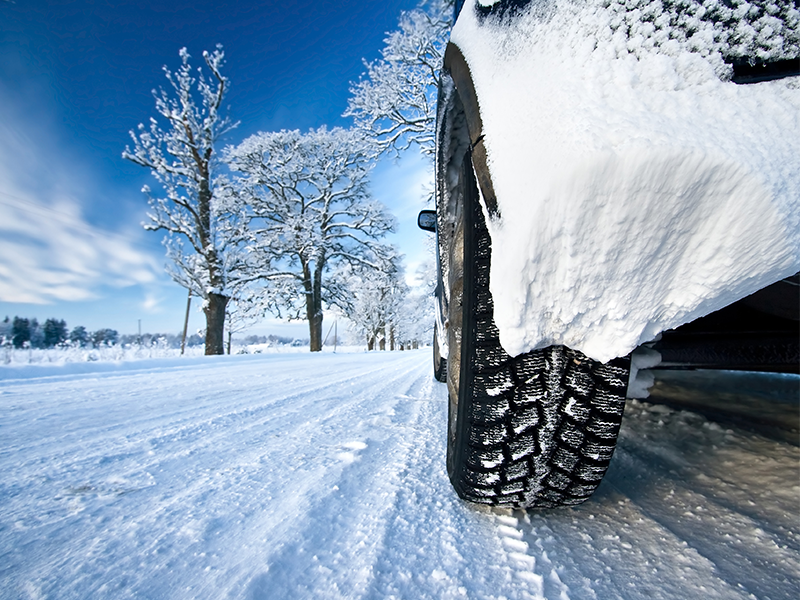 As the temperature reaches around or below freezing, the rubber compounds in tires can harden. This decreases the ability of the tires to grip the roadway. With winter tires, special compounds are included that help the tires to resist hardening even when the temperatures are freezing. If you don’t go with snow tires, it is increasingly important to check your tire pressure. Cold weather can drop your tire’s air pressure. This can cause your tire to lose traction. When the temperature dips 10 degrees, tires can lose or gain 1 PSI. You can find the amount of pressure needed for your tires on the placard seen on the door jamb of the driver’s side. Also, you can find it in the owner’s manual of your vehicle. One of the best ways to winterize your car is by creating a winter safety kit. This helps you prepare for the worst-case scenario. It also makes for a great holiday gift for new drivers. A winter kit has the essential items needed if you were to break down on the side of the road. While you are waiting for assistance, your kit has all of the handy necessities needed to tide you over. It’s not always easy to keep the gas tank full when you are driving back from D.C. to home every day, but when possible keep the gas tank full. Keeping the gas tank halfway full will help prevent the gas line from freezing up. This might not be a common issue for Maryland however, it also provides you with a cushion if you are ever in heavy traffic or broken down. The gas will help you to keep the engine running and stay warm until help arrives. At Import Auto, we can’t stress enough the importance of regular preventative maintenance for your car. Wires and cables, belts, hoses, and spark plugs can break down at any time. The worst time of year for your car to break down is during the winter season. 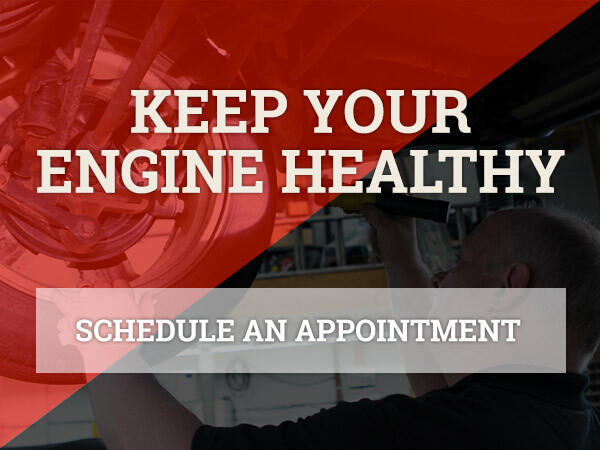 By having your vehicle serviced on a regular basis, it will ensure your safety and the proper function of your car. These are just some of the ways to winterize your car in preparation for the season. If you have questions about the information above or anything about your vehicle, please contact us today and we are happy to help. Taking care of your car in winter, especially in snowfall is very dangerous. You shared the great Tips I am really searching for these tips, Thanks for helping me out in this.